Investors sold commodity-focused exchange traded funds (ETFs) in the third quarter of 2018, as trade tensions between the US and China geared up, according to Morningstar Direct data. ETFs that invest in a broad basket of commodities saw net outflows of €1.8 billion in Q3, while those that track the price of individual precious metals, like gold, saw €524 million withdrawn. For the Morningstar Commodities – Broad Basket category, it was the biggest quarter of outflows in more than 10 years, and reversed the €2.2 billion of inflows seen in the first half of the year. The Commodities – Precious Metals category saw the most quarterly outflows since Q4 2016 and constituted a change in sentiment to Q2 2018, which saw €1.8 billion of inflows. A couple of gold-focused ETFs did sell well, with the iShares Physical Gold ETC (IGLN) and German-listed db Physical Gold Euro Hedged ETC (XAD1) raking in €309 million and €124 million of inflows respectively. Should recent market volatility continue, sentiment towards gold is likely to bounce back, as investors look for portfolio insurance that will guard against such dips. Still, gold has been out of favour recently, as we have highlighted previously. And the UBS ETF Gold (AUUSI) saw over €400 million outflows in Q3. That was followed by Invesco Physical Gold ETC (SGLD) and Gold Bullion Securities ETC (GBS), which saw outflows of €323 million and €118 million respectively. Despite that, Adrian Ash, head of research at BullionVault, notes the price is still languishing around two-year lows. This continues to offer investors looking to invest in the metal “a cheap entry point”. “Short-term chatter about ‘safe haven’ flows misses how gold has helped reduce longer-term losses on other investments,” Ash says. “Week-to-week over the past 50 years, gold prices have shown no clear pattern with regard to whether the stock market rose or fell. The biggest selling came in the broad basket category, with the iShares Diversified Commodity Swap ETF (ICOM) seeing €342 million withdrawn from its UK-listed vehicle and €421 million from its German-listed offering (EXXY). The Invesco Bloomberg Commodity ETF (CMOD), which tracks the same index, saw €341 million withdrawn, followed by UBS ETF CMCI Composite (UC90) at €195 million. Global investors’ allocation towards commodities has waned, according to the latest fund manager survey from Bank of America Merrill Lynch. Professional money managers are around 9% underweight, the lowest allocation in the past year and ending six consecutive months of being overweight. In ETFs specifically, just 2% of respondents said they use commodities in their strategies, down from 4% the previous month. The so-called trade war between the US and China has certainly not helped short-term sentiment. Indeed, between 1 January 2016 and 1 January 2018, the Bloomberg Commodity index had risen by 13.7%. In the year to mid-September, it had declined by around 5%, before rallying slightly. 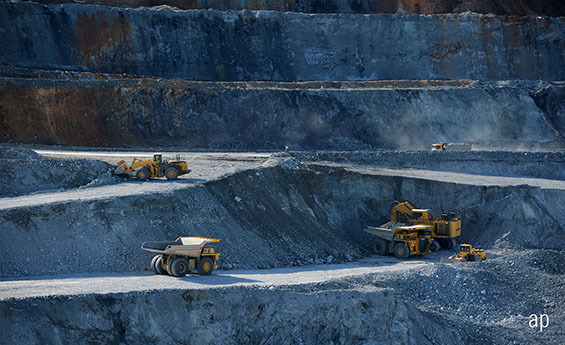 Still, many believe the long-term outlook for mining commodities is positive, with drivers such as an expected boom in electric vehicles set to boost demand for copper, cobalt, nickel and others. Why Hasn't Gold Bounced as Risks Have Risen? What is a Safe Haven Investment?